Leopold's Ice Cream / Scrapbook / From our team / WONDERLAND COMES TO LEOPOLD’S ICE CREAM, FRIDAY JUNE 10th! WONDERLAND COMES TO LEOPOLD’S ICE CREAM, FRIDAY JUNE 10th! SAVANNAH, GA, June 6, 2016 – Join Leopold’s Ice Cream as they host Wonderland’s most iconic characters on Friday, June 10th in their shop at 212 East Broughton Street. 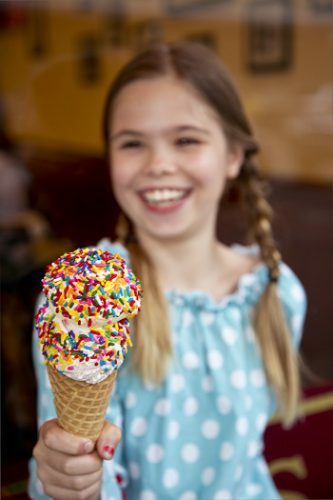 The White Rabbit, Mad Hatter, March Hare and Alice will be stepping through the looking glass into Leopold’s Ice Cream from 1-2pm to entertain and interact with guests. Photos are encouraged and kids (12 and under) who dress in their own costumes will be given a coupon for a free child’s scoop from 1-3pm! Make sure to set your watch so that you won’t be late for this very important date! Alice and her friends will only be at Leopold’s for a limited time before they must leave in search of their next tea party. They will also be visiting with KKennedyDesigns in City Market, North Building, 2nd Floor on Saturday afternoon.